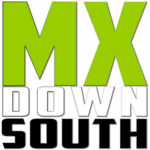 From arenacross in Louisiana to MX in Mississippi you should be able to find a place to race this weekend. I know Eddie has the track in great shape in Pontotoc and last nights rain had to be a blessing for all the track owners around. The weather looks absolutely great for the weekend. We are heading do to Lake, MS for Saturday's racing and hope to be able to catch some action at MX886 on Sunday afternoon when we get out of church. I know the KOTH Series will bring in some great racers to MX886. The Alabama State Series is getting near the end of a long season as well and the racing should be great at Outlaw MX this weekend.